On the Anniversary of the Munich Air Disaster we ask: Was Duncan Edwards the Best Player That Never Lived? It is a question that has haunted some of the greatest players who have ever played the beautiful game. To his teammates, his opponents and the thousands who witnessed Duncan Edwards swashbuckling raids that launched him from Dudley’s Priory Road Junior School to Manchester United and England in the space of a few, precious years, the answer was never really in any doubt. 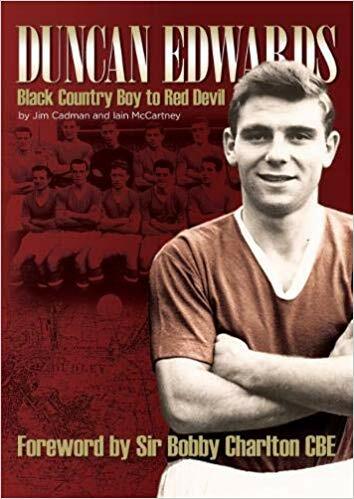 But reading through the extensive research lovingly compiled by my friends Jim Cadman and Iain McCartney for their fascinating biography ‘Black Country Boy to Red Devil’, I couldn’t help wondering just how far Duncan would have gone if he, like Sir Bobby, had survived the Munich air disaster. Sixty-one years today after the crash that killed eight members of the famous Busby Babes, the football world is still grieving over those lost stars. A young team rich with promise, some of it already fulfilled but with so much more yet to come, wiped out on the very brink of greatness. Twenty of the 44 players, staff and members of the press on board died after British European Airways Flight 609 crashed on its third attempt to take off from the slush-covered runway at Munich-Riem Airport in West Germany on February 6, 1958. Football, so important hours earlier when a young Manchester United held the fearful Red Star Belgrade to a 3-3 draw to go through to the semi-finals in what was then the European Cup, was rendered insignificant. The only result that counted on that awful night was the loss in human lives. In the days and weeks after the tragedy, the focus was understandably on the dream that died. Yet 61 years later, the legend of the Busby Babes lives on. For a fading few, it lives on in their memories but for most of us the idea of a team that embodies the excitement and vibrancy of the game remains an enigma we’re still chasing. We know what became of Pele’s wonderful Brazil team, of Johann Cruyff’s Holland and Pep Guardiola’s Barcelona. We celebrate the achievements of the Manchester United of Best, Law and Charlton and the dynasty created by Sir Alex Ferguson. We will never know what the young team assembled by Matt Busby at Old Trafford may have achieved. They were known as the Busby Babes but their youth belied their standing in a game that was free of the kind of commercial baggage we have become used to today. In those days the players caught the same bus to work as their neighbours; they were divided not by mansion gates but by the thin walls of terrace houses. It was this aspect of the memories recorded in ‘Black Country Boy’ that struck me most keenly. Duncan was always a part of his community; he was quite likely to return home from a United game and join a kick-about in the streets around his Dudley home using his club sports coat as a makeshift goalpost. He was the epitome of the local hero. When he signed for United, a spanking new washing machine was delivered to his parents’ house. It was a far cry from the multi-million pound signing on fees we see now but his family was grateful nonetheless. At a time when positions and formations were often set in stone, Duncan broke the mould. He often played in midfield but he was equally comfortable in defence or attack. He’d already achieved so much. At the age of 21, Duncan had already represented his country 18 times and won two league titles with United. Playing for England alongside such greats as Stanley Matthews and Tom Finney, he thrived. He was the supreme modern footballer generations ahead of his time. What Manchester United could have done with a player like Duncan today! The more I read about the past, the more I thought about the impact such a footballer would have had on the game we love. What if I could offer new generations of football fans the opportunity to enjoy his play, currently preserved only in a couple of grainy black-and-white YouTube videos, through the death-defying medium of a novel? Even better, what if a frustrated, over-the-hill pick-up player like me could step into his shoes…or Duncan’s Boots? Every Sunday morning at the unearthly time of 7.15am, I kick-off a game with a group of friends on a sunny hill in Laguna Beach in California. It is about as far away from Old Trafford as you can get. Where Manchester United’s ground was nicknamed by Sir Bobby as ‘The Theatre of Dreams’, we call our bumpy, pock-marked pitch the “Field of Broken Dreams.” We play less to make memories than to keep them alive. We remember what we should do but, for the most part, our bodies are now several steps behind. On second thoughts, make that yards. Into my story comes Jimmy Keen, a middle-aged family guy for whom football is a brief escape from a sobering reality. Every so often during a game there is a brief glimpse of a life that might have been. 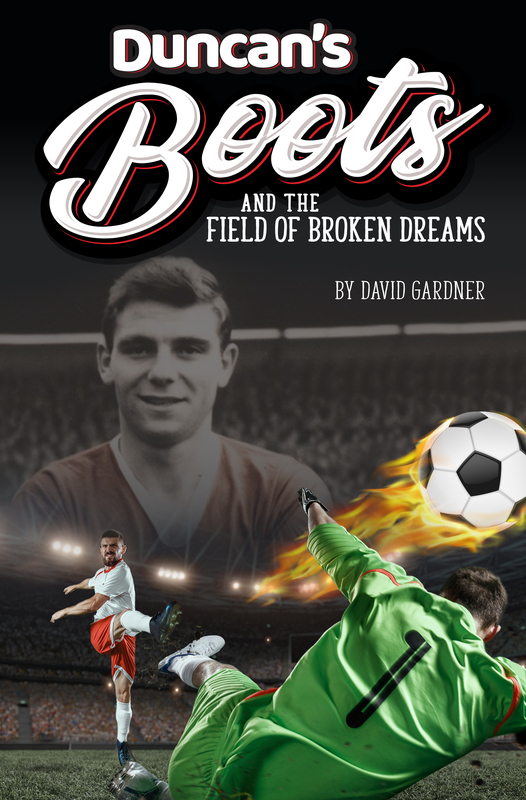 Then on a trip back home to the Black Country to bury his father, Jimmy finds a pair of crumbling old boots in the attic that he’s told once belonged to Red Devils legend Duncan Edwards. When he pulls on the old boots, Jimmy can suddenly do the most incredible things with a football. For those of you that remember the Billy’s Boots comic strip, these are Duncan’s Boots and he is Duncan. It’s a premise that stretches reality, bringing one of the most enigmatic figures in football history back to life, at least in the pages of a novel. 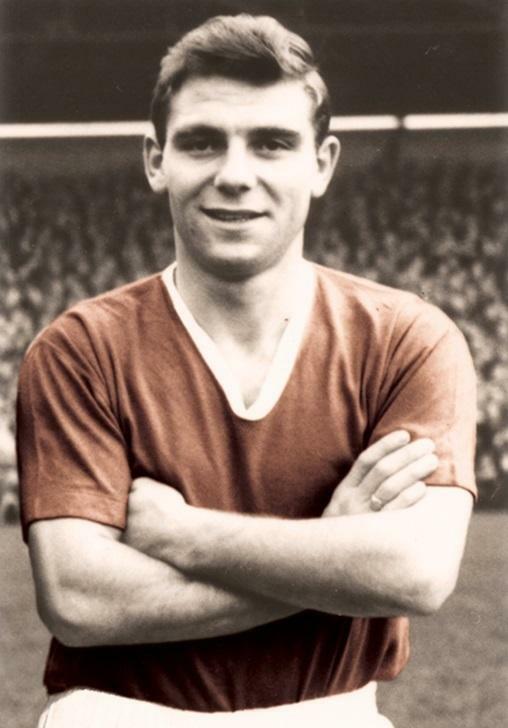 But it enabled me, a fifty something writer with the modest ambition of completing 90 minutes still standing, to imagine what it would be like to play like the great Duncan Edwards. And, for a devoted player at the Field of Broken Dreams, it doesn’t get much better than that. Next articleSergio Aguero v Harry Kane: Who Will be the Hat-trick King of the Premier League?